For 18 days, atheists prayed, Hareidim fed soldiers, Hesdernikim sang along with Miri Mesika, leftists visited settlers, soldiers refused to go home on leave. Americans criticized president Obama’s disinterest in the lives of Israeli children. We all loved and cared about each other. Our common goal was too important to let small differences break us apart. At least until we buried our boys. On Wednesday, the sun rose. And after almost three weeks of solidarity, of Israelis and Jews worldwide praying, hoping, and feeling together, we buried our three boys, and returned to our regularly scheduled discord. But it doesn’t have to end this way. If we understand what held us together, we can get put ourselves back together again. One issuethat bound us so tightly was our appreciation that those boys are our children; their parents are us – Israeli citizens and Jews anywhere in the world. The kidnappers-murderers-terrorists have it in for ANY Jew, for EVERY Israeli citizen. And we all want to know that our teenagers will come home safely at 10:00pm. Through videos of Eyal playing his guitar, Naftali hitting a ping-pong ball, and Gil-Ad and Naftali crawling with friends on their backs in a pyramid race, they became real people to all of us. We call felt that this carefree fun is how children should be, how children should live. And they deserve to LIVE. And then there was more. Not only were Eyal, Naftali and Gil-Ad regular boys, they were each so much more than that. Stories of their volunteer activities, of their dedication to learning, of their hand-written self-improvement notes, of their friendships – all these showed us that not only COULD they have been our children, but WE WISH THEY WERE our children. We all want to raise kids like them – kids who have fun, AND learn, AND love their friends AND whose friends love them. We want our own children to volunteer, to be youth counselors, to be kind and giving, to constantly strive to be better people.. In those 18 days, Israelis and Jews worldwide adopted a new model of hero. Their parents became national heroes too. Everyone admired Racheli Fraenkels’s words to a group of girls at the Kotel: “Gd doesn’t work for us.” The humility these couples exuded was almost unreal. Bat-Galim, Racheli and Iris, Avi , Uri and Ophir all behaved in way that we WISH we could behave. They didn’t say, “The country owes us,” they didn’t demand anything from anyone. They thanked everyone for everything. They took a break from their own pain to make a birthday party for their bodyguard. They didn’t take anything for granted. They didn’t compete. They worked, cried and prayed, and asked people to try to join them. Who could turn them down? The blessing of those three weeks was that we could look through the externals, and focus on what we have in common. We recognized that we are all in the same boat, and that what is important to one of us is important to all of us. Our common goal was in the spotlight. And people form another “sector” of the population could be our heroes. To keep that fire burning, all we have to do is choose to do so. When we look for what we have in common with others, on a personal or group level, we will discover that we have plenty in common. There are causes and needs that we all share, or that we share with certain people at certain times. When we choose to through the minor differences, we can see ourselves mirrored in their hearts. Working with other groups, other cities, towards common goals – these are the stuff of which unity is made. Another question we need to ask ourselves is, “From whom can I learn?” Not within my own circle, but from other circles. We can choose what stories to read in the newspapers, whose biographies to borrow from the library. We can do more than that – we can specifically choose to read “the other” newspapers, and learn about people, organizations and projects that we might otherwise never even know existed. When I visited YNET months ago, the editor told us that they get information about how long each reader spends on each article, and they match that up with the reader’s demographics. From this they have learnt that people read about their ownand skip over “other people’s problems;” that people prefer gossip about celebrities over heartwarming stories of kindness or self-sacrifice; that people prefer blood and gore to inspiration. This is something each and every one of us can change. If we change our reading habits, the media will change the focus. We don’t; have to drop the ball on this one. Gd has given us a chance to see what unity looks like, to feel its warmth, to bask in its glow. If we can learn from our own actions, Gd willing, we should be able to reach that high again, in happy times, too. 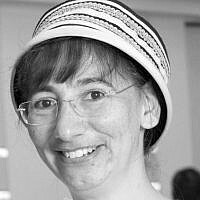 Chana made Aliya at age 17 as part of her goal to live Torah in the details. When not writing obsessively, she is a full-time wife and mother, with side helpings of remedial math teaching and case management for special-needs kids. Currently studying psychology and education at Open University and desperately seeking cleaning help.